We are approaching the ten year anniversary of Australia's most devastating bushfire, Black Saturday. For the past six years I have been living in the community who faced the destructive beast that tore families, towns and countryside apart. The last couple of years around early February, I have noticed how survivors, who literally escaped the flames with the clothes on their back, have become emotional as they remember the horror of those months in February 2009. Last year, I sat with one of my friends and she told me again about how they responded. Jan Graham, and her husband John, were not in the fire zone, but were on the very edge, and on the Monday of the fires, Jan went to the local relief centre. The streets were packed with people—emergency services workers, locals trying to find out if there was anything they could do, and survivors—all massed together in a sea of confused and hurting humanity. Jan Graham asked the question: "What can I do to help?" This question sparked a response that turned into a three year journey of relief work for her and her husband, as they literally walked with the survivors through the pain and grief of loss. This year, I encouraged Jan and John to write this story. Jan was adamant this not be another bushfire story, as, she said, there are many published accounts. Rather, she hoped this would be an account that helps Christians and community to understand how urgent is the call of the gospel for the broken, needy, widow and orphan. 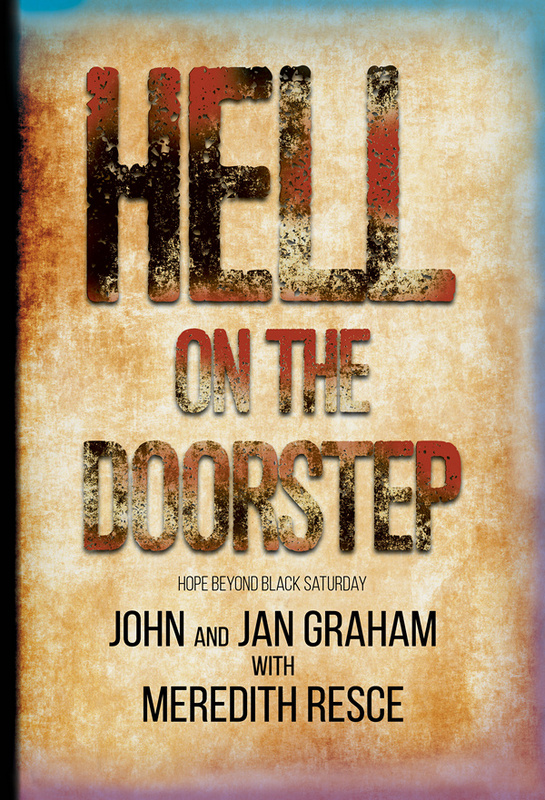 I helped Jan and John frame their story, and added a few pieces of my own to investigate the biblical call to action on behalf of the least of these. or you can download a copy for $5.99 to your table or reading device. The key themes you will see coming through are: the answer has to be yes; and it will get messy. As always, thank you for your support, and if you could find time to post a review from your purchasing website, we would appreciate it. Meredith Resce is author of 18 fiction titles, including the popular Heart of Green Valley series.